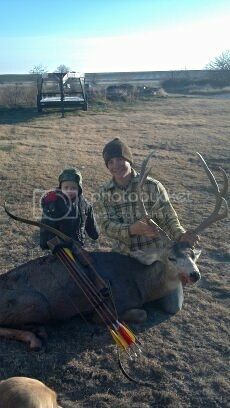 Well after a long season of chasing whitetails I finally tagged a mule deer! haha! Stalked to 12 yards of this bedded buck. Man, that buck has some character! Now thats some great stalking! Nice buck! Congrats! That is a huge Buck. Loved the read! Congrats! 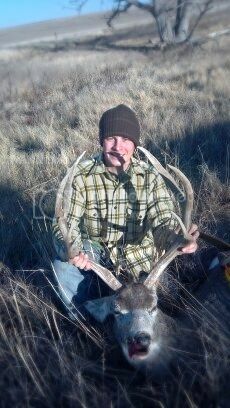 Love a big mulie, heck of an accomplishment! Congrats! Very Nice! A serious trophy with a traditional bow. Wow that is a great deer! Congratulations. Great deer. Beautiful, high rack. Congratulations.